Hello DraftSight My Company uses Drawing Standards help me to create and Verify my Drawings as per my Company Drawing Standards ! ! 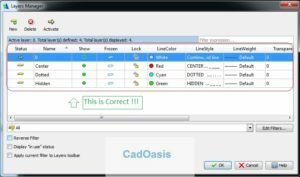 Stop worrying DraftSight Users and Start Using Drawing Standards Tool by DraftSight. 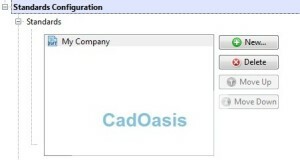 When I say tool Go Specifically in DraftSight Tools Drop down list and Find ‘Drawing Standard’ tool. or Go to Options > Drawing Settings > Standards Configuration . 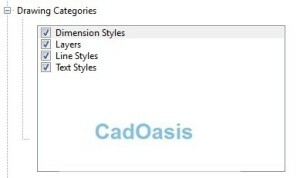 Well as name said first of all you need to create Drawing Standard file .dws as per Drawing Categories. 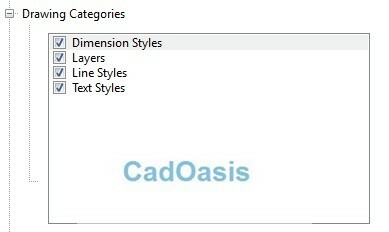 Right now there are 4 Drawing Categories that DraftSight uses . You can create you company Drawing Standards by setting these styles as per your requirements. For more description about these Categories Click on it and Read Description. Now for demo purpose I will open DraftSight and create Some Layers as Dotted , Center, Hidden . Now that you have saved this Drawing standards file you ready to verify this Standard for other drawings. So close this file and open new Drawing file on which you want to run Verify Standards and fix Standards violation issues. Here Add your saved Drawing Standards file by clicking on ‘New…’ tab. In Drawings Categories you check or uncheck specific Drawings styles as per your requirements . Fo now we will keep all checked . Go to Options section under it . 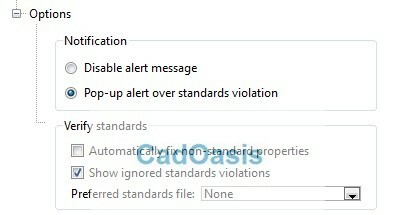 Here you can Disable alert messages or set them to Pop up whenever there is standards violation in Drawing. Also , Verify Standards have check boxes for ‘Automatically fix non-standards properties’ and Show ignored standards violation. 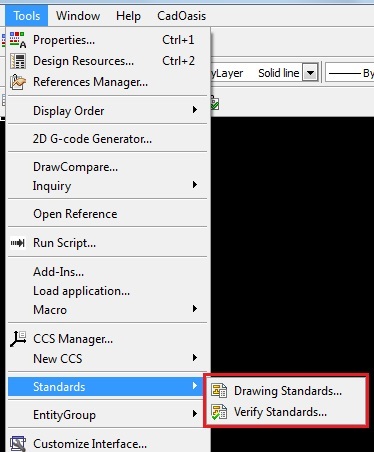 You can set your preferred standards file if you have used one or more Standards file as in same Drawing. Apply and Ok on Dialog box. Now that you have saved everything in Drawing Standards it is time to Verify Current Drawing to your Drawing Standards. 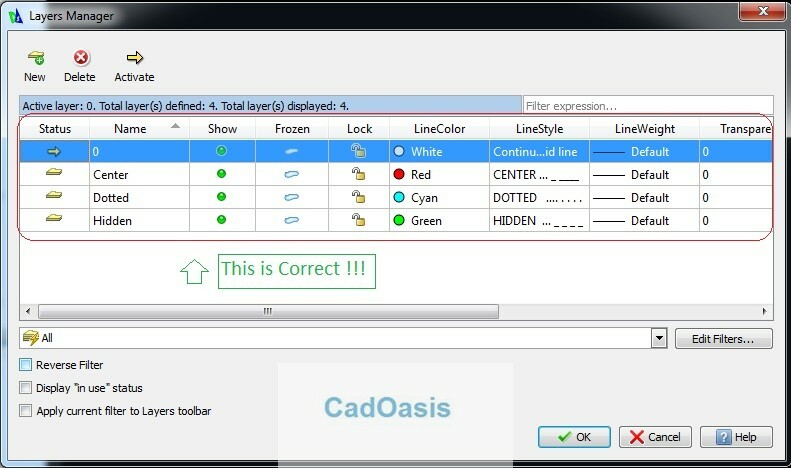 Go to Layers Manager and Create 3 layers and click ok.
A pop up message appear because this is violating with our Drawing Standard file as it contains different layers and properties. 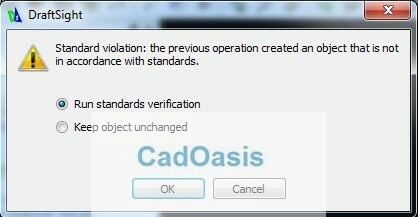 You can run standards verification or Keep object unchanged if you want . 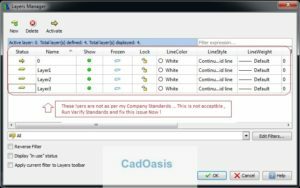 Select Run Standards verification . Then Verify Standards dialog box will pop up as below. Here , Select each layers and check Standards violation details and preview of changes from Current to Standard value. Now Select each layer and Click on ‘Fix’ tab to fix these standards violation and Set Current Drawing Standards as per Drawing Standard file. You can ignore standards violation by selecting a check box and click Next. 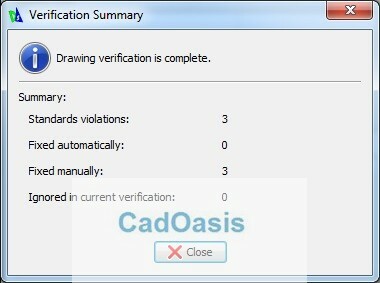 When Drawing verification is complete ‘verification Summary ‘ will pop up. 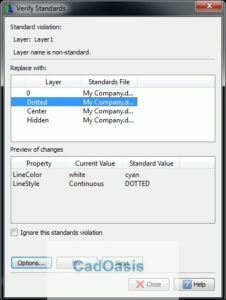 If you have created Extra layers then fixing this layer in verify standards will delete this layer and if there are assign entities to those Extra layers then it will shift to fixed Layers. Close above summary pop up and go and check Layers Manager. 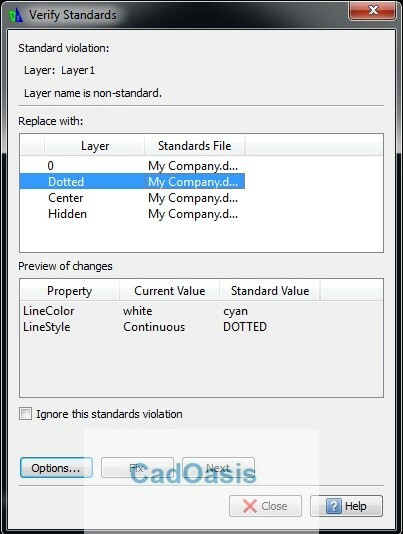 Note if new Drawing contains no layer in Above case then Verify standard won’t create new layers for you . 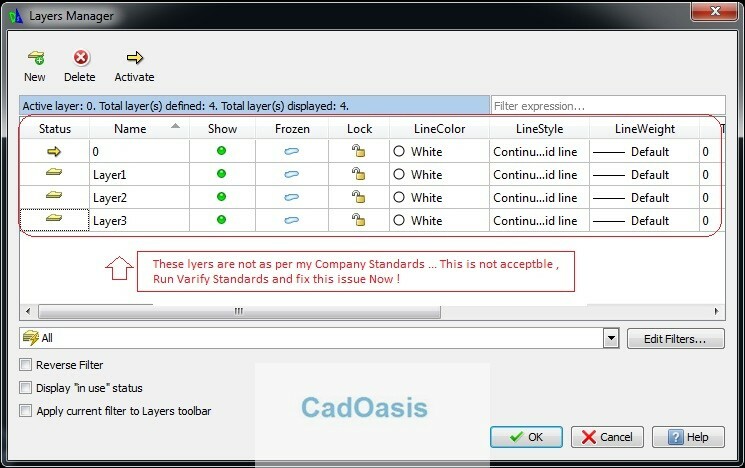 It can be used to verify with standards violation only if new layers are not as per standard layers.